About CRSC Established in January 2013. The Regional Service Commissions were established in legislation through the Regional Service Delivery Act. This legislation sets out the requirements for the Commissions, including mandate, structure and key operating guidelines. Our Commission is one of the 12 regional service commissions covering the province of New Brunswick. This new model of governance at the regional level was created by the province to help communities to better communicate and collaborate regionally, as well as plan on a regional basis. These commissions enable communities to work together more effectively, to share certain services and to consult on a common vision of regional development. Each Regional Service Commission Board is accountable to their member Municipal and Rural Community councils. Those councils are in turn, accountable to their taxpayers. For Local Service Districts (LSD), the Commission is accountable to the Province which, as administrator of services in LSDs, is accountable to LSD taxpayers. Each Regional Service Commission has a Board of community representation which sets direction and makes decisions for the overall Commission. Located in northeastern New Brunswick, the region includes the municipalities of Bathurst, Beresford, Nigadoo, Petit-Rocher, Pointe-Verte and Belledune, as well as the unincorporated areas of the Parishes of Beresford, Bathurst, Allardville and New Bandon known as Local Service Districts (LSDs). 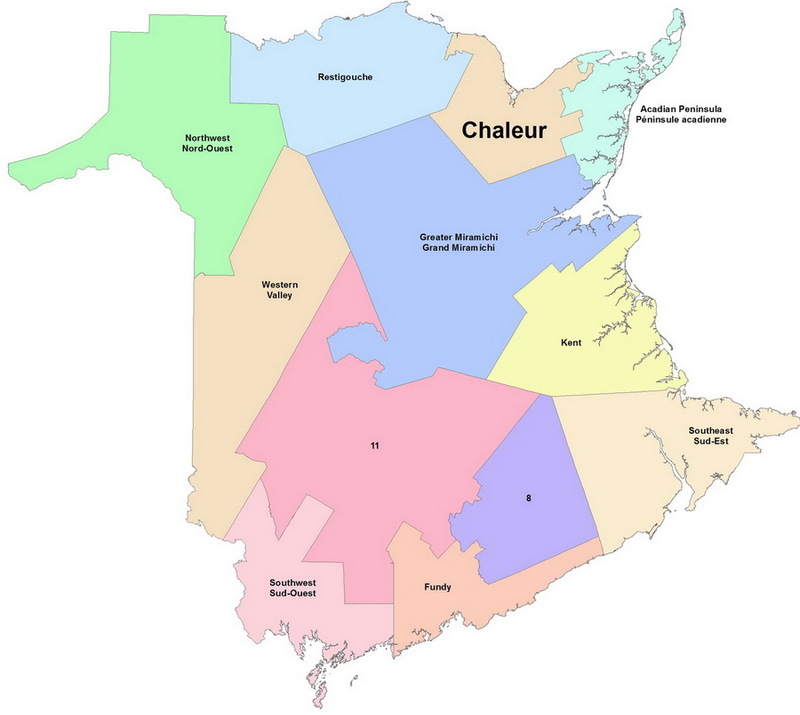 Established under the Regional Service Delivery Act, the Chaleur RSC is governed by a Board of Directors made up of mayors and LSD representatives. Our Commission gets its name from the Bay of Chaleur which borders its territory. This territory covers an area of 3307 sq. km and serves a population of 36,067.